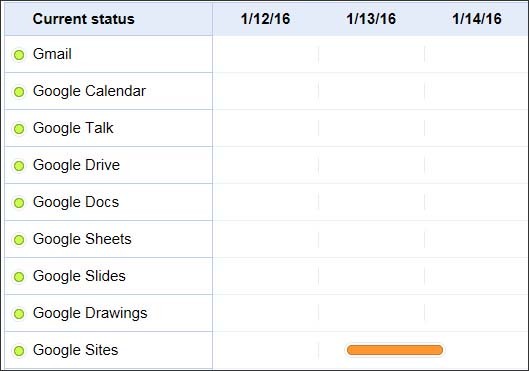 Haz clic Google Apps Status Dashboard to find current status for Google Apps services. Click the desired app to find more information. The image below is for informational purposes only. Review service details information e.g., brief description of the issue, date & time of the issue being reported and any ETA (if available).